Happy National Pasta Day… Carb load away! To order a tee check HERE. Oxygen Optional Tournament will be held today, December 9, 2017 indoor at Chester E. Peters Recreation Complex in Manhattan, Kansas. Kansas State Rowing Association and Kansas State University Men’s Crew host 30 entries from 4 clubs. Plant Invite – Fall Sprints will be held today, December 9, 2017 at the Bypass Canal inTampa, Florida. Plant High Rowing Association, Inc. hosts 343 entries from 13 clubs. Rogue Valley Indoor Rowing Challenge will be held at Arete Crossfit for Master, Collegiate, High School, Adaptive, Junior and Novice entries in Ashland, Oregon hosted by Rogue Rowing. British Rowing Indoor Championships will be held today, Saturday 9th December 2027 at Lee Valley VeloPark in London. Walton Small Boats Head will be held Saturday 9th December 2017 in the Thames region hosted by Walton Rowing Club. Derby Small Boats Head will be held 9th December 2017 in the East Midlands region hosted by Derby Rowing Club. In World Rowing, the European Rowing Indoor Championships will be held December 9, 2017 in Amsterdam, The Netherlands hosted by Aegon NK Indoorroeien. Pop up at Starbucks for a free cup of jolly Joe! 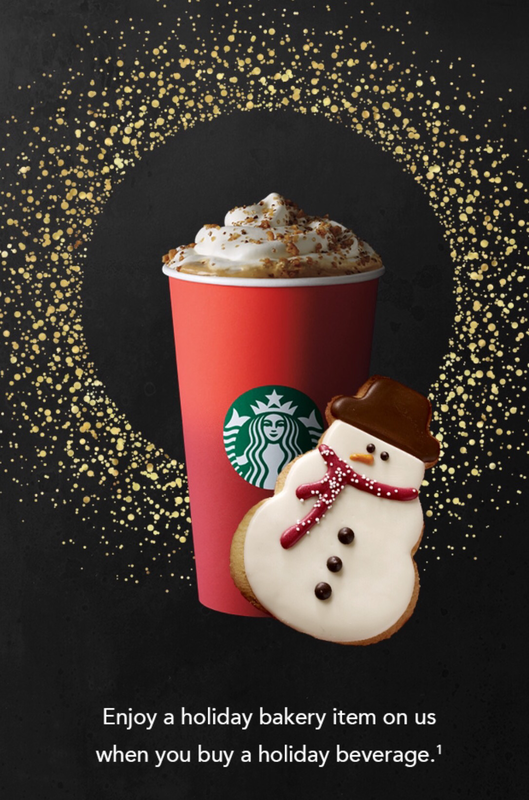 Starbucks is holiday hosting Pop-Up Cheer parties across the US offering a tall handcrafted espresso beverage on the house from 1pm to 2pm at 100 different Starbucks locations revealed every day through January 2, 2017. That’s 10 days of cheer omitting Christmas. So row it out and reward yourself on your way home. 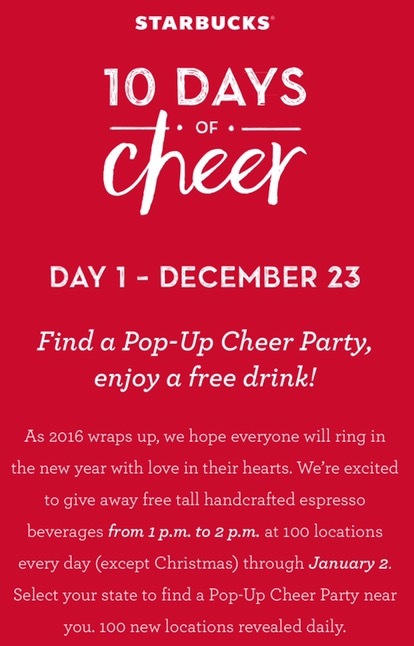 Find Starbucks Pop-Up Cheer Parties near you HERE. A festive recipe to share that has nothing to do with rowing except for being quick, sweet and on point. Enjoy! 12oz semisweet dark chocolate chips. Smaller sized chips tend to melt more evenly. 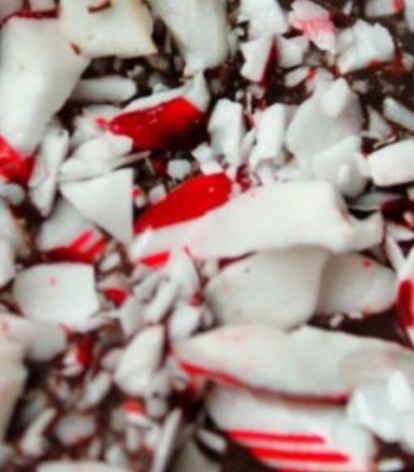 Use white chocolate or layer both for a classic striped peppermint bark. 4 regular-size candy canes, crushed into small pieces. These work best because of the softer consistency. 1-Line baking sheet with parchment paper. 2-Place chocolate chips and oil in measuring cup. Microwave on HIGH, uncovered for about 2 minutes to melt chips. Careful chocolate chips melt sooner than they let on. I tend to take the chips out early. Remove from microwave and stir in peppermint extract. 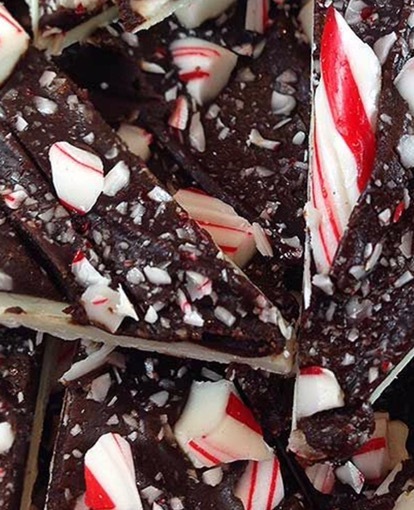 3-Using a heatproof spatula, sprint, scape and and spread the peppermint chocolate into the parchment lined baking sheet (I tweaked the original recipe making a classic striped Peppermint Bark and completely cooled the first layer in the fridge before the adding second layer). Power ten sprinkle the crushed peppermint canes over the chocolate using your fingers to adhere any stray pieces. 4-Keep in fridge one hour or in freezer for 10 minutes until Peppermint Bark sets. Cut or break pieces as desired. Store in airtight container up to three days or up to a month in a doubled freezer bag. Recipe thanks to Beth Hensperger’s Not Your Mother’s Microwave Cookbook, Boston: Harvard University Press, 2010. Happy, Happy Monday! I love this time of year. The days are getting longer and the air is optimistically brisk with a twang of excitement between the risk of more snow or the early onset of some spring fever. Happily, today here in the Northeast the sun knowingly shines secure in the fact that both are meant to be. So, with thoughts running toward rumblings of ice and playing hooky, why not have both right now? The erg will still be there, taunting you to the whirl that plays out every spring. I suppose you could play hockey or curl (the icy kind with a broom, silly), to win an icy spring fever good time scoring some quick takeaway action. But that’s a lot of gearing up for a passing fancy. But what if you could steal a little me time and still meet the goal of that icy brisk release away just for a quick, savoring moment much like the in between time like today? Well, Happy Monday! 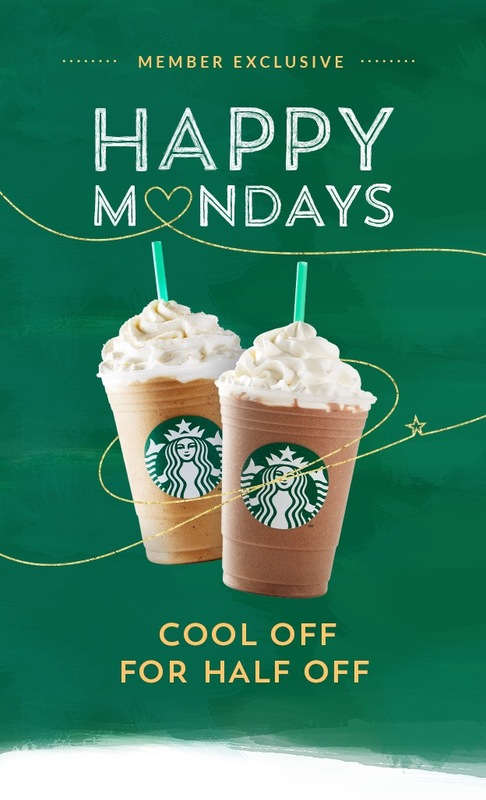 Steal some me time with a half price Frappacino at Starbucks anytime today after 2pm. Even better, earn your favorite Frappacino after some time well spent on the erg because spring season is fast approaching as if you could really hear those regatta cow bells stirring in the air. Here’s one way to look forward to Monday with a quick merry pick me up! My favorite holiday drink is Starbucks Chestnut Praline Latte, but the holiday cookies look too good to eat. Maybe I’ll reward myself with a latte for time well spent on the erg and share a little sugar with someone sweet enough to provide me the incentive to keep rowing. 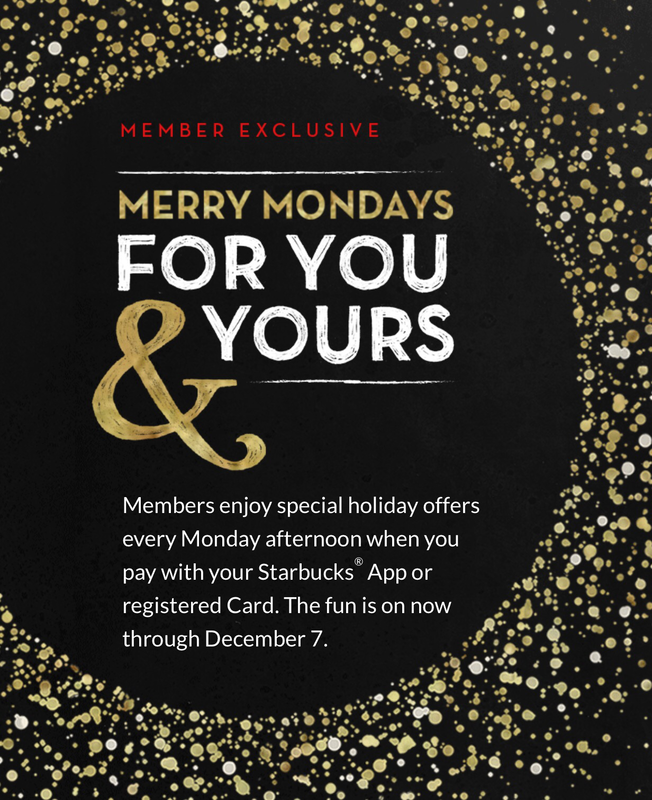 *Merry Monday offer only available today at participating Starbucks between 2pm and closing. What’s almost better than a workout buddy? Getting a freebie holiday drink for your workout buddy at Starbucks. 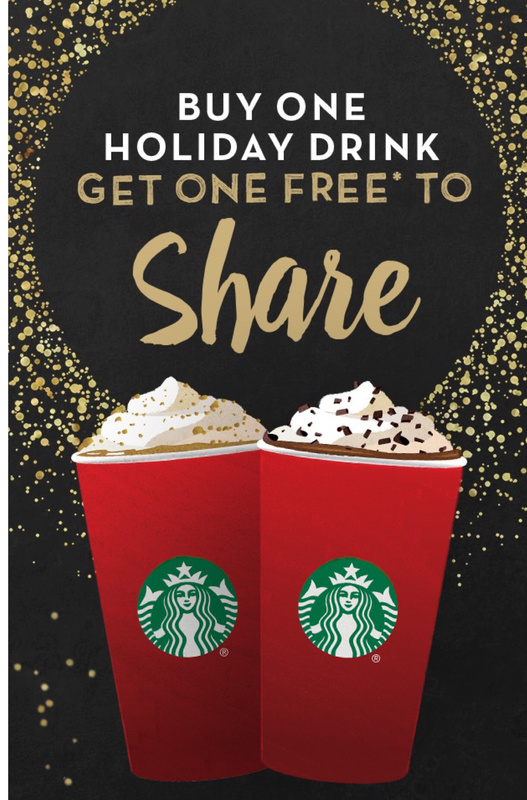 Buy one, get one free starting today through Sunday from 2pm to 5pm at participating Starbucks. That means you can reward your regatta buddy this weekend! I know, I know, the last thing you want to do is to leave food by your mailbox tomorrow morning when you need to leave soooo very early for a regatta. Never mind if you need to attend the coaches and coxswains meeting. I get that, I really do. But this is for a really good cause. 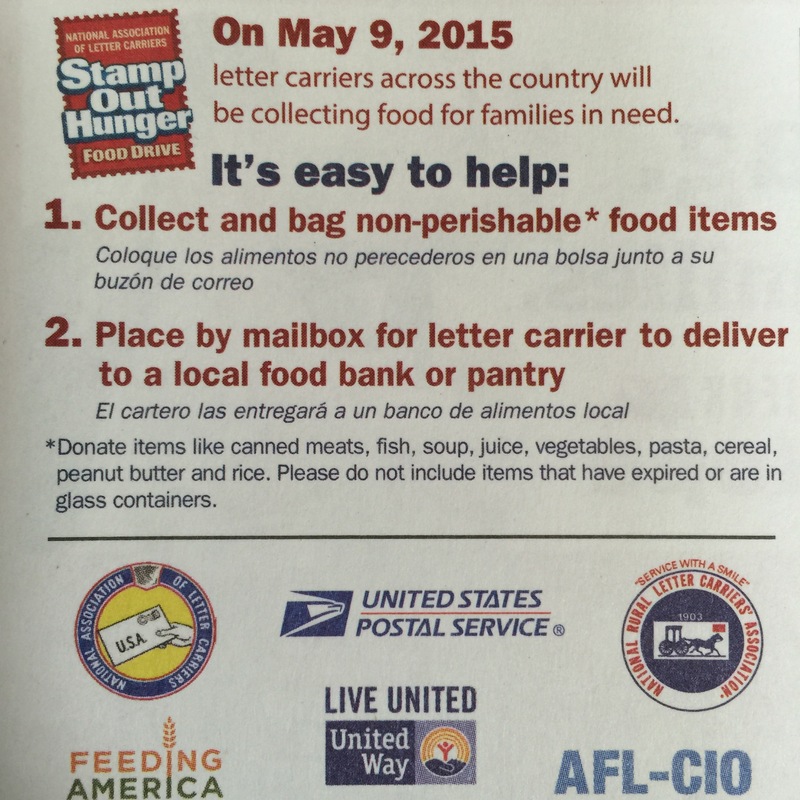 The National Association of Letter Carriers (NALC), your neighborhood Postal Carrier, you know, the mailman is gearing up for the “Stamp Out Hunger” food drive to collect non perishables all day tomorrow, May 9. If you’re thinking your contribution won’t matter, think again. In 23 years, the NALC collected over one billion pounds of food. Last year alone netting 70.3 million pounds. 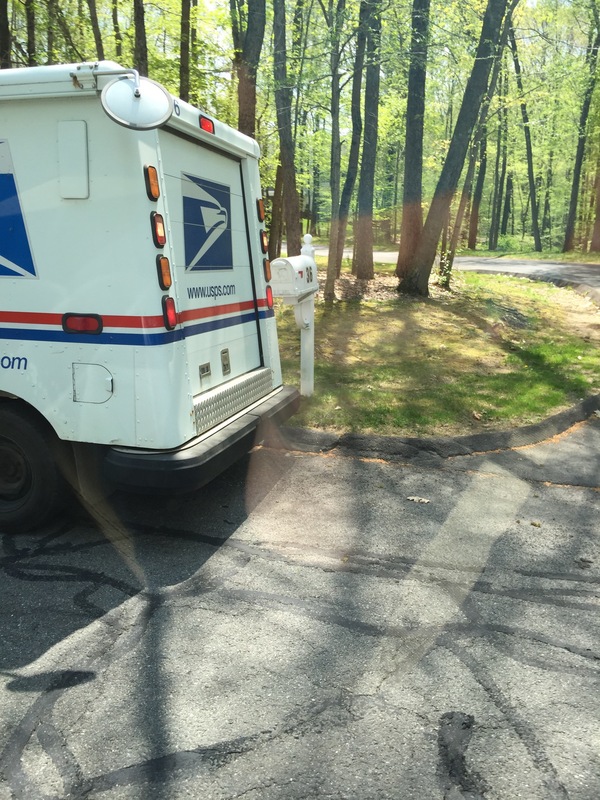 Postal drivers make their collection in May because food bank inventories are down this time of year, unlike during the holiday season at the end of the year. You can be part of the largest food drive in the country by putting together some things right now or later tonight to leave by your door ready for a quick grab and go tomorrow morning. I’m pulling all the can goods I thought we needed if we were snowed in. We had lots of snow here in the Northeast, but somehow we got by without canned peas and green beans. I’m also adding peanut butter and tuna too. So join the rest of the country and put together a bag of food for your neighborhood Postal Carrier and maybe this year we can fill mail trucks with 72 million pounds of food! 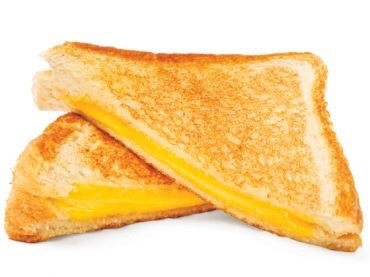 Happy National Grilled Cheese Day! Who knew? If celebrating in National Grilled Cheese Day style, try to opt for a whole grain bread to vessel a lot of veggies with your cheese! I always pack something cozy like a soft fleece throw or jacket so I can take advantage of the long drive and catch up on some Z’s. Once my team did a double take wondering if they left me behind at a rest stop because I was so quiet. Here’s something else that may help the long drive, especially if you finished watching House of Cards on Netflix. An erg does make an appearance in the White House but not until almost the end of the season. And maybe pick up some Gatorade or extra water for the upcoming week, you know you’re going to need it.